The power force that is Blues Traveler RETURN to Red Rocks Amphitheater on Thursday 4th July 2019! Get ready for an eye opening, kicking performance from the one and only, Blues Traveler as they come back to Red Rocks for an exciting night as part of the summer concert season! You can expect all the groove and energy as there's no doubt in mind this will be just as good as their previous shows! Tickets are available to book online today! Blues Traveler are one of the most exciting bands on the live music scene right now. With their powerful and extensive performances they bring to the road for another enticing year ahead! This summer you can catch them LIVE at Red Rocks! The 90's jam band rockers are fronted behind the amazing front man, John Popper who really knows how to grab your attention and keep you engaged from the moment they first step on to the mics, to the moment they leave you wanting more. As he showcases his strong, raw vocal abilities along with his harmonica playing to wow the crowd. 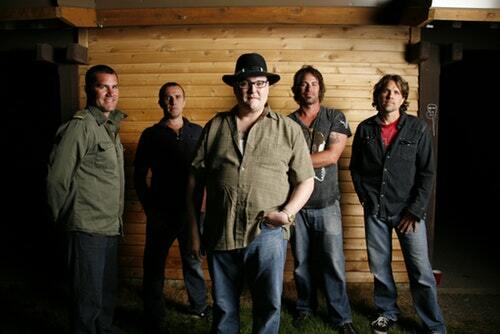 Formed by high school friends in the mid-'80s, Blues Traveler started as a garage band. After graduating, the band moved to New York and, upon making a name for themselves playing the local club circuit, secured a record deal with A&M in 1989. Just a few years later, the group were in the midst of top jam bands and joined the bill along side the incredible Phish and Spin Doctors, to found a brand new festival H.O.R.D.E. – which became an alternative experience to Lollapalooza. This really pushed Blues Traveler's career, gaining them a wide fan following from all over North America as they gave an out of this world performance at the live show at H.O.R.D.E. Along with this they took to the charts, and were featured in the Top 40 singles, a well deserved triumph for the band. Songs such as "Run-Around" and "Hook" were brought to the light and critics, radio hosts and of course fans couldn't get enough of their sound!